Major frost on the lawn this morning in lovely downtown. Going to be an unusally cold day here I think. Meanwhile, guess it's finally time to enjoy the holiday decorations. My operative in New York got a new camera and his pix are better than ever. 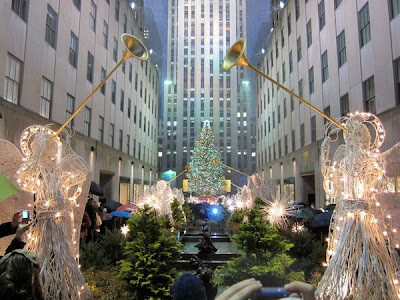 Rockefeller Plaza.